At the end of January, students and staff from St James – St John School of New Bedford received a visit from the Lloyd Center and very special guest, Koko the screech owl! Koko is the Lloyd Center’s resident screech owl; because she is blind in one eye, she cannot be released into the wild. 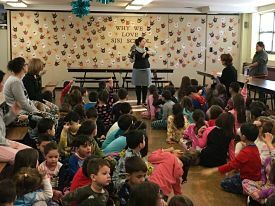 Her job with the Lloyd Center is to be an animal ambassador, she visits local schools and is presented to community members in order to educate children and adults alike on the importance of local wildlife. 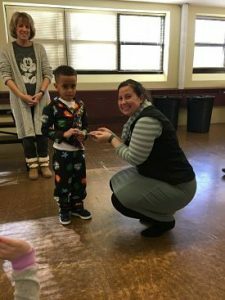 During the St. James – St. John program, students were introduced to the unique senses of owls, particularly their strong hearing and eyesight. They learned that screech owls, like Koko, fly silently in order to hunt. They were able to look closely at owl pellets and raptor feathers. Direct observations of Koko helped them to learn about screech owls’ sharp talons for grasping prey, their ability to camouflage in local trees, and more! 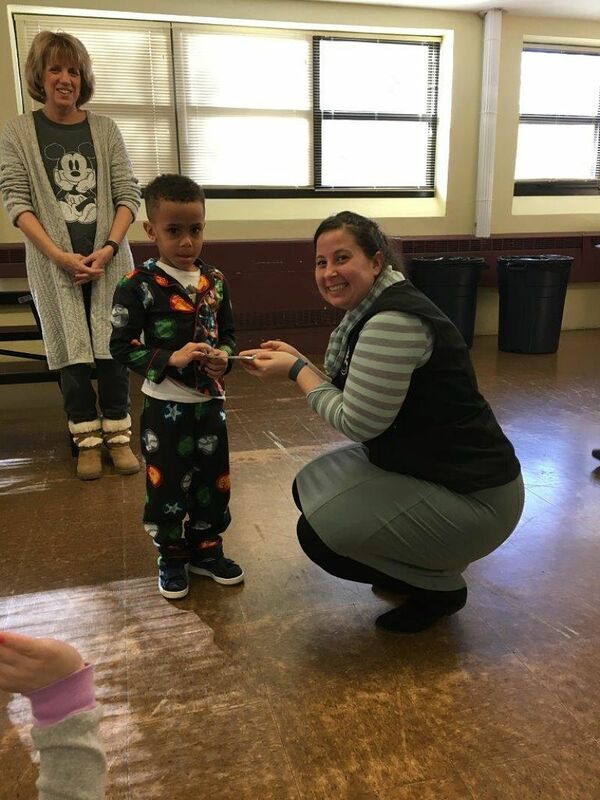 The Lloyd Center received an incredible surprise gift during their visit to St. James – St. John School. At the end of the owl presentation, students presented us with a check. Prior to our visit, the students had raised money to help us care for Koko! This gift has and will continue to be beneficial in helping us to supply Koko with food for the rest of 2017. It is the largest donation our organization has ever received for animal care, and the largest we’ve ever received towards the care of our resident raptor ambassadors. The fact that this donation comes from our youngest local generation makes it even more special. The Lloyd Center is extremely grateful for the donation, and we thank the St. John-St. James staff, parents, and children for their generosity.